Jacques Reclus was born on February 3rd 1894 in Paris. He was the son of Paul Reclus, an active anarchist who had been jailed for his views, and who was himself the son of Élie Reclus. Élisée Reclus, the distinguished anarchist geographer was Jacques’ great uncle. Jacques went with his parents into exile in Scotland and then Belgium. He studied economics in Brussels. Jacques then moved to Paris where he became a musicologist and pianist. He became active in anarchist circles. Between April and June 1914 he was involved in a Groupe de Propagande Musicale of which both his parents were paying members. He organised five “people’s concerts” of chamber music in Paris. He was also active in contributing to the libertarian paper Clairière (Clearing) in 1917 and to the paper La Bataille Syndicaliste which then changed its name to La Bataille (1914-1916). In 1914 he lived at 141 Grand Rue at Bourg–la-Reine. He lived in a ménage a trois there with Katharina Elisabeth Frederike Rupertus, usually known as Lily or Lilian, twenty years his senior, and the Dutch libertarian Christiaan Cornelissen. Lily and Christian had lived in free union since October 1899. Lily was one of two Dutch sisters. Her other sister Frida was married to the noted Georgian anarchist Varlam Cherkesov. Lily and Christiaan had a son Freddy. Jacques’ hopes of pursuing a career as a pianist came to an end when he was called up in 1918 and subsequently had two fingers on his right hand blown off by a mortar shell. He then worked as a journalist for the syndicalist press. In January 1920, he became manager of Jean Grave’s Les Temps Nouveaux, to which his father also contributed. He also contributed to the daily anarchist paper Le Libertaire. Lily and Christiaan adopted Pierra, the granddaughter of Kropotkin, born as a result of an extra-marital relationship of his daughter Sasha. All three- Jacques, Lily and Christiaan- looked after Pierra. On Christmas Day 1922 he was arrested at an anarchist demonstration demanding the release of the Black Sea mutineer, André Marty (see The Black Sea Mutiny: the Marty Myth and the Role of the Anarchists here at libcom). In the same year Cornelissen had left the house at Bourg-la-Reine and Jacques was to marry Lily. He initiated the Group for the Defence of Imprisoned Revolutionaries which also included his father Paul, the miner Benoit Broutchoux, Pierre Besnard, Lucien Guérineau, Dr. Marc Pierrot and Lucien Haussard. They published the pamphlet Repression of Anarchism in Soviet Russia. By now Jacques had moved to 3 rue Lagrange in the 5th arrondissement of Paris. In June 1925 he appeared on a list of “anti-vote” candidates put forward by the Union Anarchiste at Sceaux in June 1925. In the same year with his father and Pierrot, he founded the anarchist magazine Plus Loin (Further) which was a continuation of Grave’s old paper Les Temps Nouveaux. In 1927, he was asked by the Chinese anarchist Wu Kegang (1903-1999) to go to teach French and history at the Labour University in Shanghai. This university had been set up by anarchists to run on a Kropotkinist model of a mixture of work and study. He left on a ship for Shanghai in autumn 1927, Wu Kegang himself being also aboard (he appears to have drifted apart from Lilly who had become occupied with raising Pierra, although she later visited him in China. As for Pierra she was involved in the French resistance, and committed suicide on learning of the murder by the Nazis of her lover). He appears to have started teaching in May 1928. However the experiment lasted only a short time because the Chiang Kai- shek regime, which had financed the University, withdrew all subsidies in 1930 because of “subversion” and began to harass the anarchist movement. Despite this, Jacques Reclus decided to stay in China. He taught French in Nanking and then appears to have moved to Beijing, Hong Kong and then finally Kunming (then known as Yunnanfu) at the beginning of the Second World War. He established a new relationship with a Chinese woman, Huang Shuyi (Houang Chou-yi) also known as Marceline Rohan, (1913-1999), in 1939 and they had a daughter, Magali, the following year. Jacques had many good friendships with Chinese intellectuals and artists and there exist several paintings and sketches of him by the latter, including one by the celebrated artist Xu Beihong. 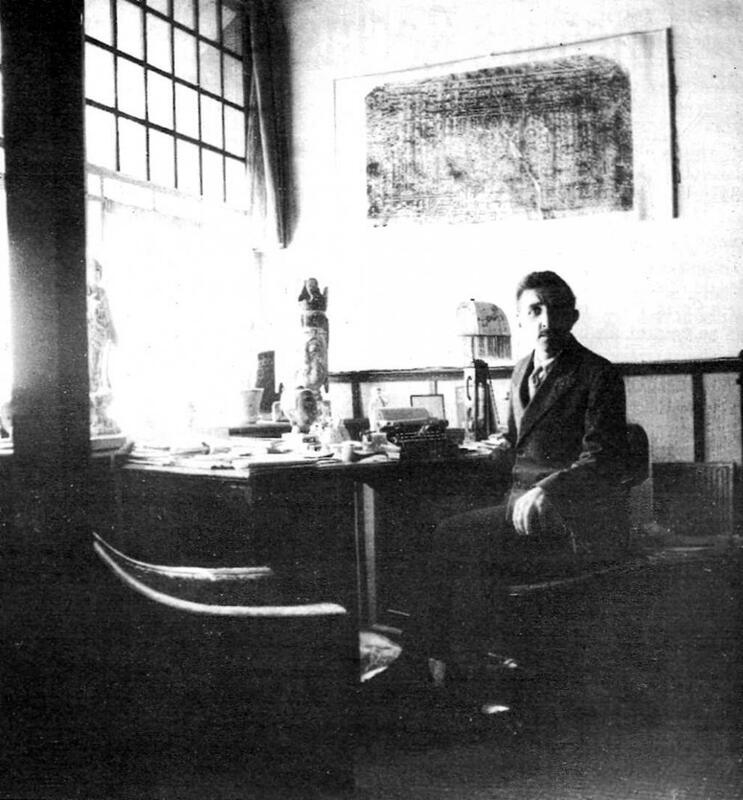 In 1945 with the cessation of hostilities Reclus returned to Beijing where he continued teaching French. He married Huang Shuyi on 5th August 1947. Their relationship appears to have been stormy as they divorced on 8th May 1951. In 1952, Reclus became a victim of the campaign orchestrated by the Communist regime, where foreigners living in China were accused of being imperialist agents for the USA. He may have been targeted because he continued to maintain contact with the Chinese anarchist movement. He was obliged to leave China within two days with his ex-wife. Their daughter Magali , then aged twelve, was left behind with a maternal aunt. Returning to Paris Reclus took a job as a proof-reader. This was undoubtedly because of the large number of anarchists present in the proof-readers’ union. Huang Shuyi became a professor at the Institute of Oriental Languages. Reclus then became editor of the Bibliographical Review of Sinology of the Ecole Pratique des Hautes Etudes, also working as a translator. He later became a teacher of Chinese language and civilisation at the Université Paris-VII, when this university was founded in the early 1970s. As well as many translations, he also wrote La Révolte des Taïping (1851-1864). Prologue de la Révolution Chinoise in 1972. Thanks to the new policies of Deng Xiaoping in 1979 and the “re-opening” of China, his daughter Magali was able to go to Paris in that year and see her parents for the first time in twenty seven years. Later Jacques Reclus and Huang Shuyi remarried on 18th January 1982. Jacques Reclus died on the 5th May 1984 in the 14th arrondissement of Paris. His remains were incinerated at the Pere Lachaise cemetery on the 15th May. On returning to France Reclus had continued to contribute to the libertarian notably with Les Cahiers du Socialisme Libertaire (1955-1963) of Gaston Leval and then to Leval’s Civilisation Libertaire. In an obituary entitled La Fin Des Reclus that appeared in the French daily newspaper Libération on 15th May, the sinologist Marie Holzman addressed the militant anarchist engagement of the Reclus family, regarding it as having ended with the death of Jacques (although she failed to take account of another member of the family, Etienne Reclus, who died in 1994 and had been a militant of the Union Anarchiste, as well as of other members of the family, no longer carrying that name, who also continued with militant activity).